From March 5th – 9th, 2013, CeBIT as one of the largest consumer electronic trade show in the world, grand open in German Hannover. 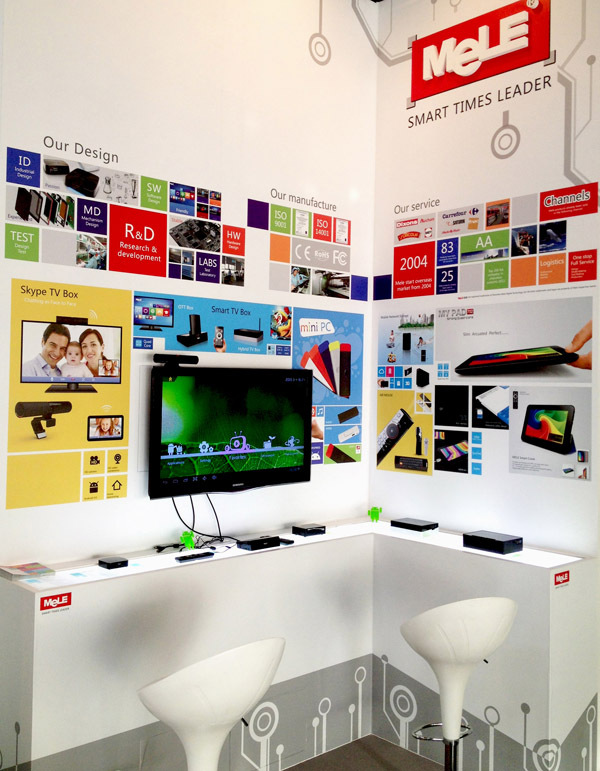 This year CeBIT main focus on innovation of Digital IT, home and office telecommunication solution. As the leading company on HDD multimedia player and Internet media player, Shenzhen Mele Digital Technology Ltd., brings their newest living room smart devices to CeBIT. 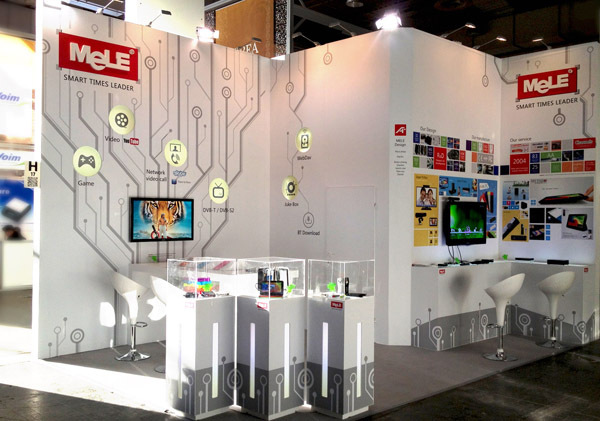 In this year CebIT, Mele Digital focus on displaying their newest Quad Core Pad, Quad Core internet smart TV box and Mini PC products to worldwide buyers. Among all the new products, the Quad Core Pad is the most attractive product. This Pad uses the newest Android 4.1 operating system, has a 7 inch IPS high quality 1280x800 panel, uses Allwinner A31 Quad Core CPU with 8x GPU, let users enjoy 4K video quality videos, play 3D games or watch online HD movies. The newest Quad Core Smart TV Box with Android 4.1 operating system is also another product buyer show great interest in. 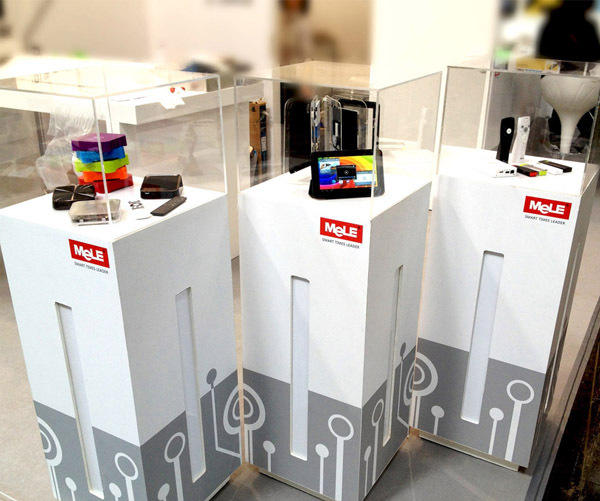 When other company still focusing develop Dual Core products, Mele has already moved on to Quad Core products. With these new products it is sure Mele will once again change the internet smart device market pattern.